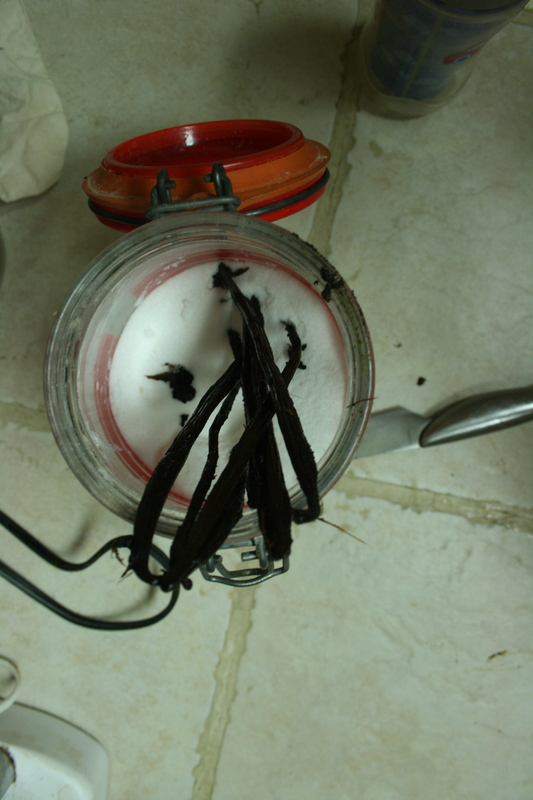 Making vanilla extract is fantastically simple! 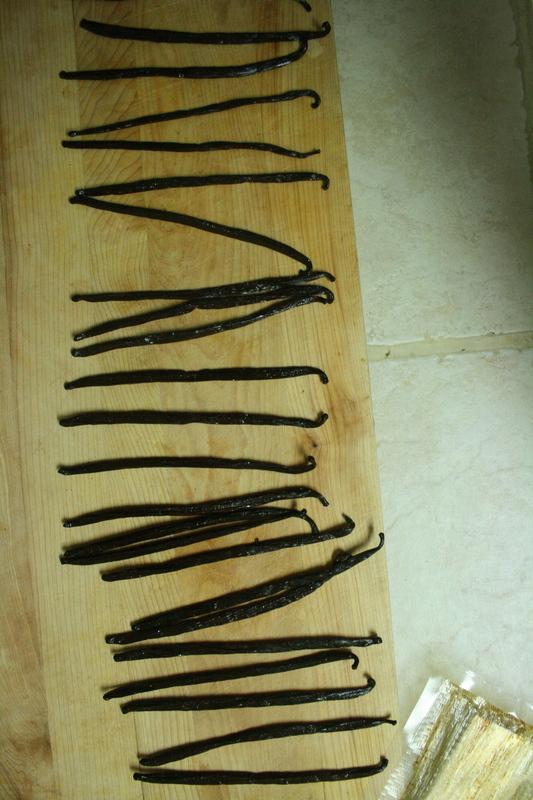 Scrape 25 vanilla beans (purchased in bulk online for very little), into 750 ml of cheap vodka, stuff in empty bean pods and voila! 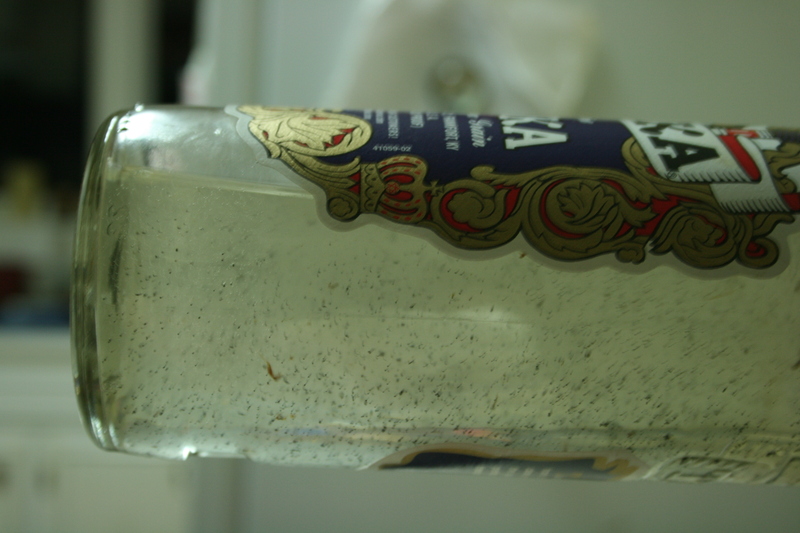 Place in a cool dark place for 4-6 months until you have a syrupy cocktail of baking goodness. What is that you say? 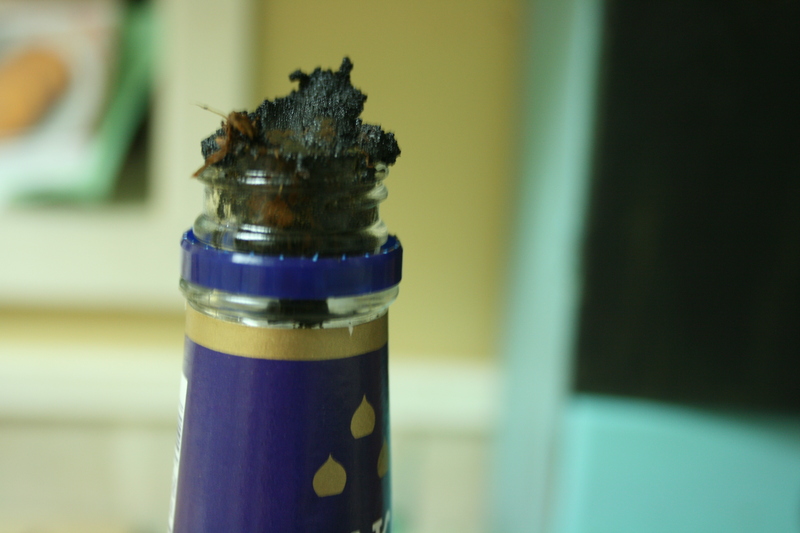 You want to drink it with soda water? I say why not! I mean its vanilla! While you are at it, stuff a few in your sugar jar. Or perhaps place some in a jar of sea salt. While I have not tried this, I have heard things about this concoction. Strangely delicious good things. So, bottoms up everyone! I will meet up with you in six months for an uncorking update! 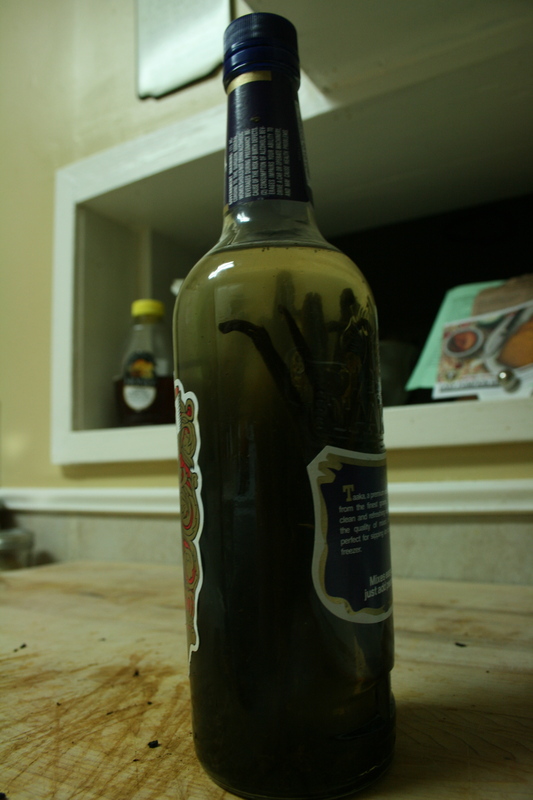 This entry was posted in food preservation, Uncategorized and tagged baking, making vanilla extract, vanilla beans, vanilla salt, vanilla sugar. Bookmark the permalink.